Donald "Donnie" Ray Westmoreland, 61, of Randleman passed away on Thursday, January 26, 2017 at his home. He was a loving husband, father, and grandfather. 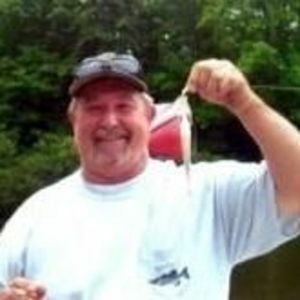 He was a long term employee of Riley Paving and was a retired volunteer fireman with Staley Fire Department and he enjoyed fishing and playing pool. A funeral service will be held on Monday, January 30, 2017 at 11:00 a.m. at The Loflin Funeral Home Chapel with Rev. Jason Bowser officiating; burial will follow in Randolph Memorial Park. The family will receive friends on Sunday evening from 6:00 until 8:00 p.m. at Loflin Funeral Home, Liberty. He was preceded in death by his father, Cleo Marvin Westmoreland and his brother, Doug Westmoreland. Surviving is his wife of 10 years, Jacquelyn Routh Westmoreland; mother, Rachel Nance Westmoreland; daughter, Amy Westmoreland Lucas (Jeffrey); son, Shannon Westmoreland (Tonyia); step-sons, Jimmy Davis (Teria) and Chad Davis (Tara); sister, Joyce Casstevens (Paul); eight grandchildren; best friend, Bill Routh and his beloved dog, Duncan. In lieu of flowers, memorial contributions may be made to St. Jude Children's Research Hospital, 501 St. Jude Place, Memphis, TN 38105 or Staley Fire Department, PO Box 292, Staley, NC 27355. Loflin Funeral Home, Liberty is honored to serve the Westmoreland family.